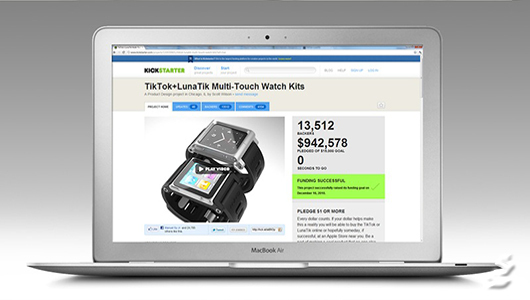 How do you use Kickstarter to launch your new business venture and what are the required steps to make this happen so you have a successful rate of getting approval from Kickstarter and their community. If you have a unique idea, do not put it on Kickstarter without getting a patent pending, copyright and trademark provisions for your idea. It’s great to get free money in exchange for your products, but it’s even worst when someone steals your idea and then makes money off of it and you cannot do anything but stand back and watch in misery. I look at Kickstarter as being the second stage funding and not the initial funding to start a project, but some projects need the initial funding like movies and music, etc. First, you need a timeline, aka a plan of action, of how long your Kickstarter campaign will run and how long it will take to deliver the finished product. I would recommend 30 days or less since they have highest success rates. Second, the money is up next, never ask for 200k because your just not going to get it. But if you shoot for a lower number say $8K or $9k and the campaign makes $200k, then you have a success story and Kickstarter likes feel good stories like that. Always be detail about where the money is going exactly and what is your plan of action once you get the funds needed for your latest business idea. Thirdly, the pledge/rewards comes next, this is the most important of the Kickstarter Campaign besides the video introduction. Every project’s primary rewards should be things made by the project itself. If the project is to record a new album, then rewards should include a copy of the CD when it’s finished with extra goodies as they give more money to the project. Fourthly, the video, and yes, a video is important. Tell the audience who you are. Tell the audience of the story behind your project. Where’d you get the idea? What stage is it at now? How are you feeling about it? Come out and ask for people’s support, explaining why you need it and what you’ll do with their money. Talk about how awesome your rewards are, using any images you can. But before your 5 seconds of fame, the most successful videos are the cartoon pencil drawing ones, because people seem to related with it better. You can do a full scale production video, but unless its attention grabbing or has some funny or drama in it, it might not be a good call to action with your audience. Lastly, is the product page, Kickstarter emphasizes the most important thing to remember is to be transparent at all times. That means clearly defining your project’s scope and how you will achieve your goal. It’s also imperative that you explain precisely how you plan to use backers’ money. These are the things people want to know first, and they can make or break some backers’ decisions to fund your project.